We try to waste nothing in our recycling of the antique log cabins and timber frame barns that we salvage. 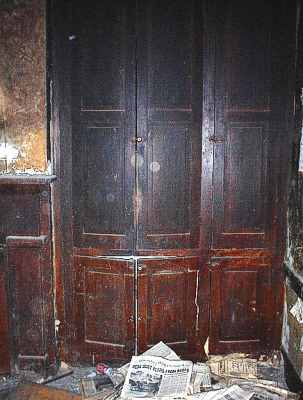 Contact us by email or telephone (304.497.2300) to request what you need. 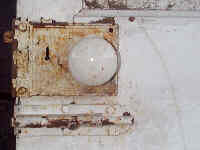 Antique doors and windows often have interesting hardware and glass. 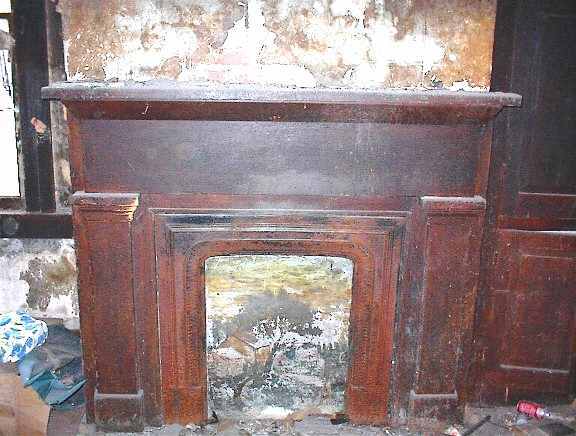 The mantle above is an antique from the 1840's. 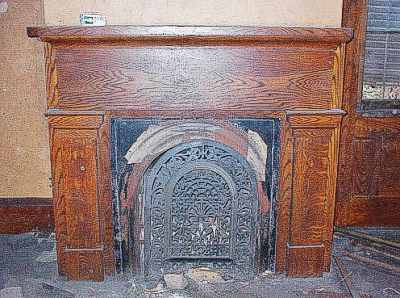 In addition to salvaged mantles like the one shown above, fireplace mantles can be constructed from recycled whole beams. Chestnut Mantle. The mantle below is a faux finished mantle hand painted in a wood grain pattern. Hand painted faux finished window, wood grain pattern. 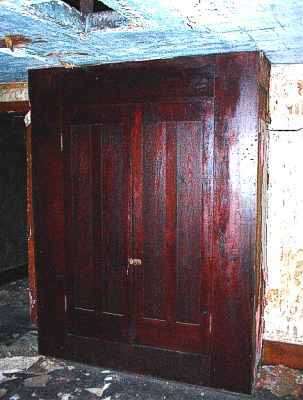 Shown left is a built-in wardrobe made of Chestnut. 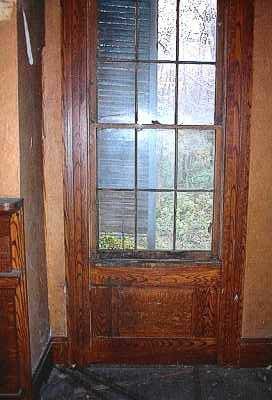 From the 1840's, a built-in bookcase. 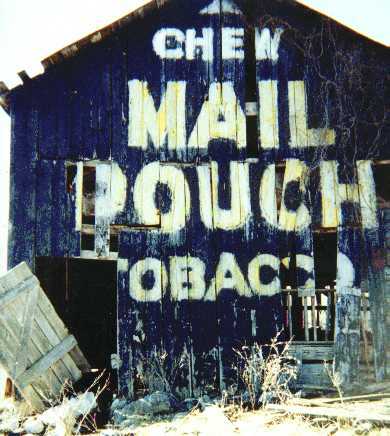 This "Mail Pouch Tobacco" sign is a real classic. 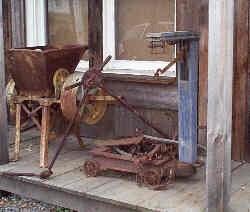 Vintage Log and Lumber can supply painted barn sides and old signage for your special projects. Go to the Top of the Page, or Home to order.